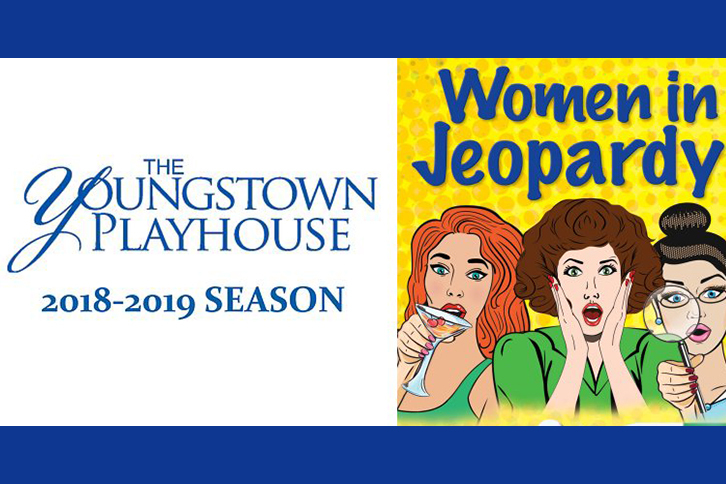 The Youngstown Playhouse presents Women in Jeopardy! in the Moyer Room. Divorcees Mary and Jo are suspicious of their friend Liz’s new boyfriend – he may be a serial killer! The ladies try to uncover the truth and save their friend in a riotous off-road adventure written by Wendy MacLeod. Performances are Friday, February 22 at 7:30pm; Saturday, February 23 at 7:30pm; Sunday, February 24 at 2:30pm; Friday, March 1 at 7:30pm; Saturday, March 2 at 7:30pm; and Sunday, March 3 at 2:30pm. For tickets, call 330-788-8739 or visit their website.